In the run-up to the holidays, World of Warships is excited to announce its Battle of the North Cape event. 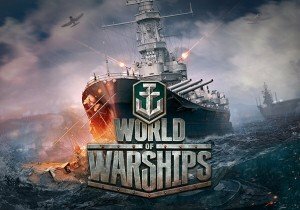 This historically inspired campaign runs from December 21 to January 17 and players can earn the legendary Royal Navy Battleship Duke of York, in addition to other warships throughout the campaign. To add Duke of York to their navy, players need to successfully complete a set of 5 challenging campaign missions. In doing so, not only will they earn the ship, but will also be rewarded with an array of items from the special holiday collection, including photos and pieces of warships, emblems, flags, and medals. Commanders that conquer the challenge and then secure their first victory in their newly acquired Duke of York will open another set of campaign missions, letting them instantly earn five researchable Tier VI warships and a camo for each ship, regardless of their current Tech Tree progress: Ernst Gaede (German destroyer), La Gallissonniere (French cruiser), Queen Elizabeth (British battleship), Fushun (Pan-Asian destroyer) and New Mexico (US Battleship). Secret Santa has also returned, proving to be an extremely popular event with the community last year. Players can become a Santa, gifting in-game items to a friend or even to a random player. A new skirmish event against the Many-Arrows orcs begins in Neverwinter, and offers powerful rare rewards. Frontier Developments has released Elite Dangerous for Xbox One, the all-in-one games and entertainment system from Microsoft.